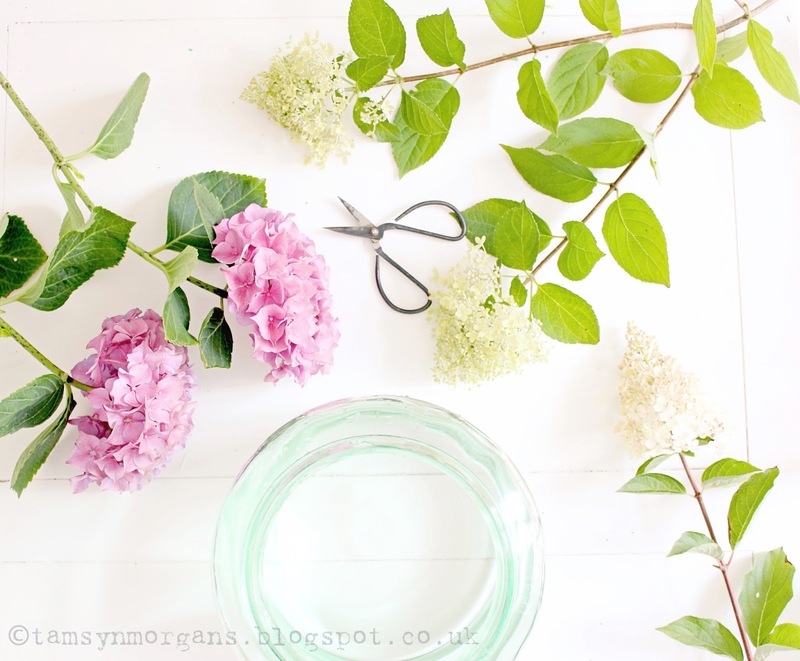 I picked these hydrangea stems the other day to prop the pictures I’ve taken of the craft room. My parents told me that my Nana used to dig used tea leaves into the soil around the the base of her hydrangea bushes to keep them blue. I have hazy memories of playing in Nana’s little front garden with the little pram which belonged my my mum when she was little. I can remember what the net curtains looked like in the window, the curve of the little path leading up to the front door and the big hydrangea bushes, which were indeed blue. 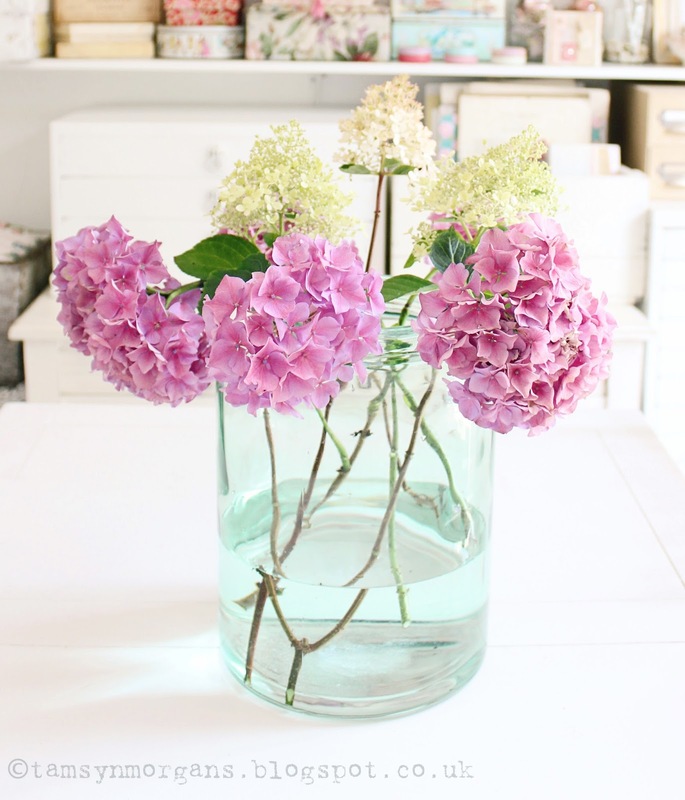 Maybe this childhood memory is why I love hydrangeas so much! I’ve tried digging tea leaves around the base, so maybe next year they will grow with a more purple tinge. 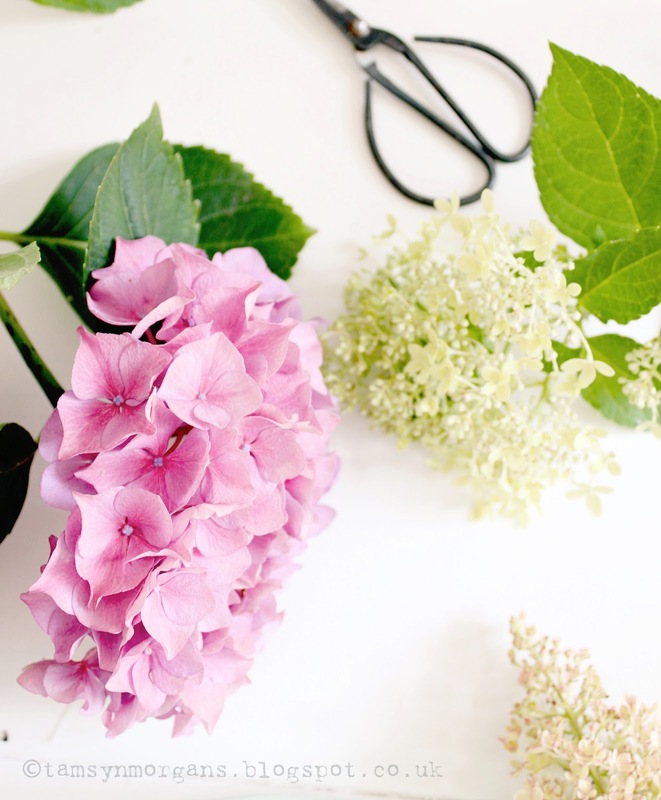 My next post will be my craft room update post, so please do pop back!